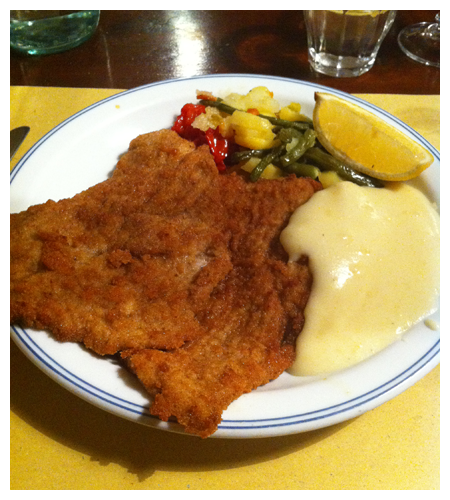 After a full day at Slow Cheese we decide to take it easy with a late dinner at Osteria dei Sognatori. Don't come here expecting a written menu because there isn't one - what they have is what they have made that day. 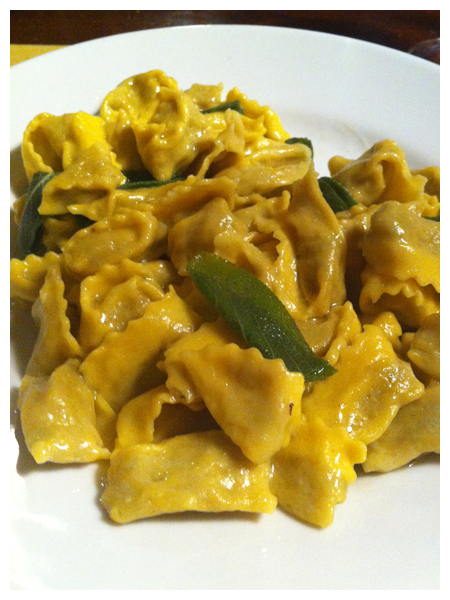 You'll be asked if you want antipasto, if you want pasta, if you want mains and dessert. Antipasto isn't what you see in Australia - 3 pieces of salami, a slice of prosciutto and a couple of olives - no here it is the real deal. 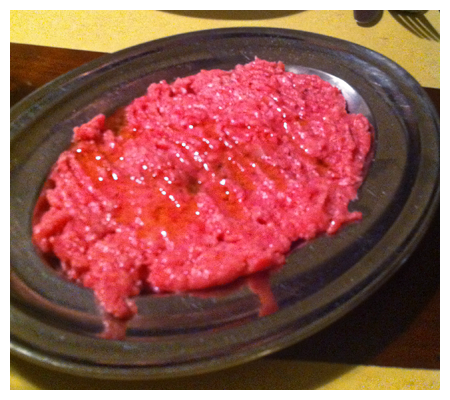 First up, a spankingly brilliant "Carne cruda" - simple seasoning of salt,pepper and mustard and drizzled with excellent olive oil. There's lots of lovely crusty bread to go with this. This is interesting - they call it giardinera - which is confusing as I've always associated that name with pickled vegetables. 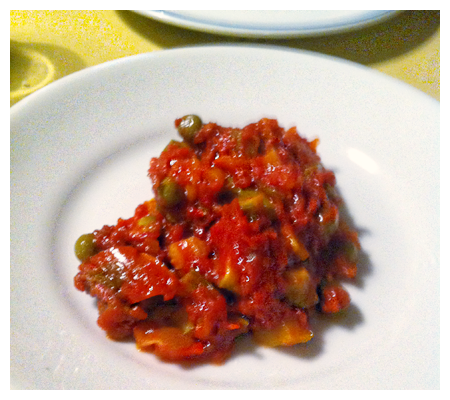 This is more like a pepperonata - predominately capsicums with some zucchini and peas in a really rich tomato base. 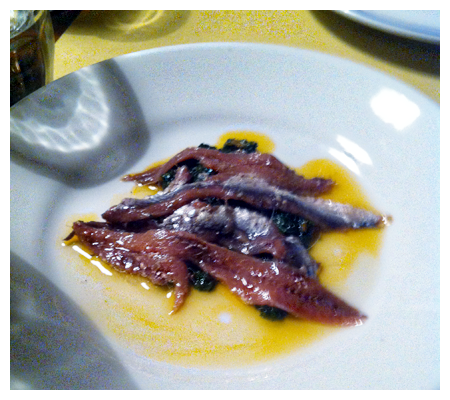 Lovely preserved anchovies, sitting on a bed of wilted cavolo nero. 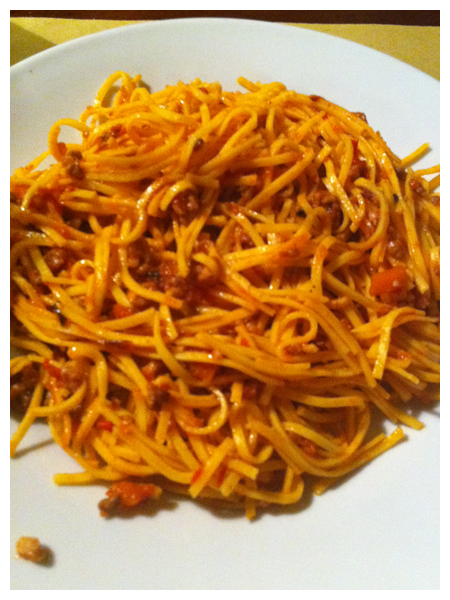 tajarin with ragu - tajarin is the local pasta using an ultra rich egg dough - up to 40 egg yolks per kg of flour! 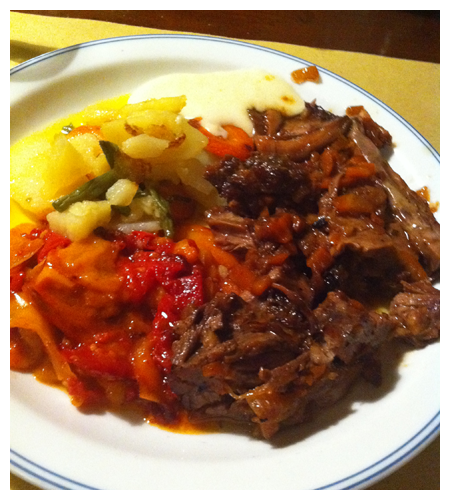 Stracotto di Manzo - beef stew - the meat is just falling apart. They are frighteningly generous serves but are just so delicious it's hard not to keep eating even though we're more than full. 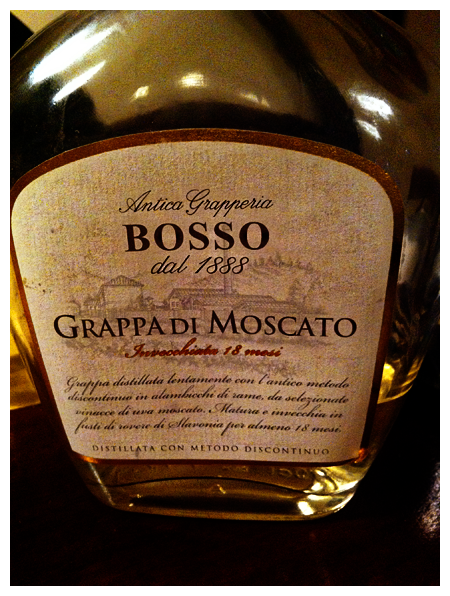 With so much good food we finish off with grappa - I love that they just leave the bottle on your table and you can help yourself. 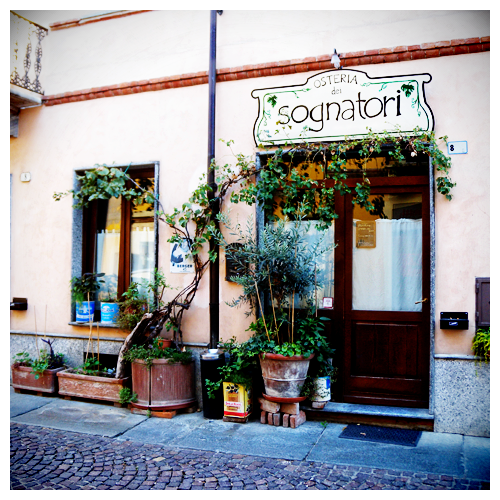 We're both really impressed with the ethos of this place and the food and the owners also have a wine bar on the next corner, looking out onto Piazza Elvio Pertinace which we should also visit. I know we'll definitely be back here.